On the heels of President Obama’s gun control speech in Illinois last week, Chicago’s, Illinois Commission on Diversity and Human Relations (ICDHR), The Barrio Project and eMediaCampaigns announced that they have formed a collaborative partnership to proactively expound on anti-violence education, youth initiatives and contribute to other community proponents. 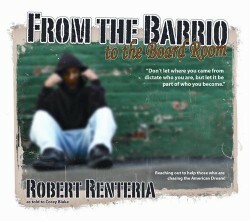 “We’re excited to work with Robert Renteria and the Barrio Foundation and make an impact on violence in our community. They have a proven ability to help transform the lives of our children and their families. I am looking forward to building this collaborative network which shows our youth that they have options,” said Michero B. Washington, president of the Illinois commission on Diversity and Human Relations. Both organizations seek to develop a community-based interventions designed to educate and provide harmony and diversity that cross race, gender, ethnicity and cultural divides between the inner city and suburbia. They will also address youth and adults who externalize behaviors that place self and others at risk.